White Jenshen, Whole, 16 oz (Panax ginseng) - Penn Herb Co. Ltd.
Ginseng is the ideal tonic for the 21st century fast-paced lifestyle. Its beneficial compounds support energy, stamina and mental performance, especially during high stress situations. White Ginseng is considered to be “cooling” and the better choice if you need a gentle energy boost. NOTE: Red or white Ginseng reflects the difference in traditional preparation methods. White Ginseng is unsteamed, retaining its natural color, and is a better choice for those needing a gentle energy boost. 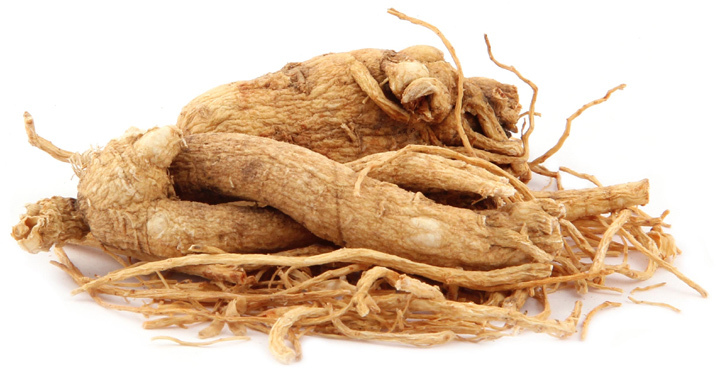 Red Ginseng is steam processed, resulting in a warmer, potent, stimulating root. COMMON NAMES: Jenshen, Sang Root. Supports energy & stamina; relieves stress; traditional sexual tonic; improves concentration; supports hormone balance; enhances athletic performance; immune system support. 1 to 2 cups of tea daily. If desired, add honey and/or lemon to taste. NOTE: CONSULT YOUR HEALTHCARE PRACTITIONER BEFORE USE IF PREGNANT, NURSING OR HAVE HYPERTENSION.